Transfer active learning, which is an emerging learning paradigm, aims to actively select informative instances with the aid of transferred knowledge from related tasks. Recently, several studies have addressed this problem. However, how to handle the distributional differences between the source and target domains remains an open problem. 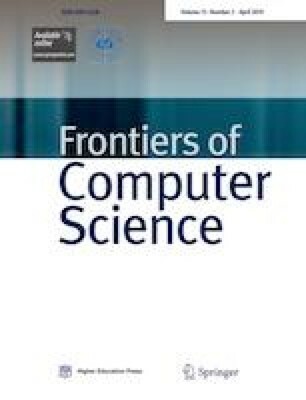 In this paper, a novel transfer active learning algorithm is proposed, inspired by the classical query by committee algorithm. Diverse committee members from both domains are maintained to improve the classification accuracy and a mechanism is included to evaluate each member during the iterations. Extensive experiments on both synthetic and real datasets show that our algorithm performs better and is also more robust than the state-of-the-art methods. Hao Shao is currently an associate professor at Shanghai University of International Business and Economics, China. He is also the director of The Data Center, Shanghai Center for Global Trade and Economic Governance. He received his PhD in engineering from Kyushu University, Japan. Before moving to Kyushu University, he had been taking a direct PhD course since 2006 at the University of Science and Technology of China, China. He has served as a PC member of international conferences such as IJCAI 2015 and ICACI 2015. He has authored or co-authored more than 30 refereed publications. His current research fields are mainly related to data mining, artificial intelligence, and transfer learning. Supplementary material is available for this article at https://doi.org/10.1007/s11704-017-6117-6 and is accessible for authorized users. This work was supported by the Humanity and Social Science Youth Foundation of the Ministry of Education of China (13YJC630126), SRF for ROCS, SEM, SC-GTEG, the National Natural Science Foundations of China (NSFC) (Grant Nos. 61603240, 71171184, 71201059, and 71201151), the Funds for Creative Research Group of China (70821001), and the Major Program of NSFC (71090401 and 71090400). Supplementary material, approximately 269 KB.